Many of you who follow me on Twitter will have probably discovered that I am currently writing a (painful) dissertation, as part of my third (and final) year studying Journalism. It’s something that seems to occupy at least 90% of my time and thoughts at the moment, sabotaging any opportunity to chill out or relax. 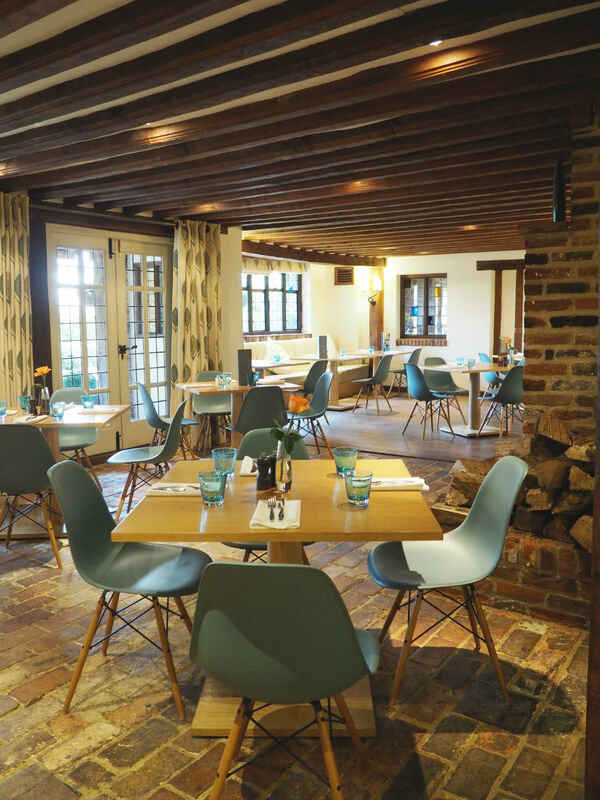 So, when the opportunity arose to escape London and head to Lavenham, in Suffolk, for a long weekend of spa treatments, incredible food and swanning about in robes, I’m sure you can imagine what my answer was. 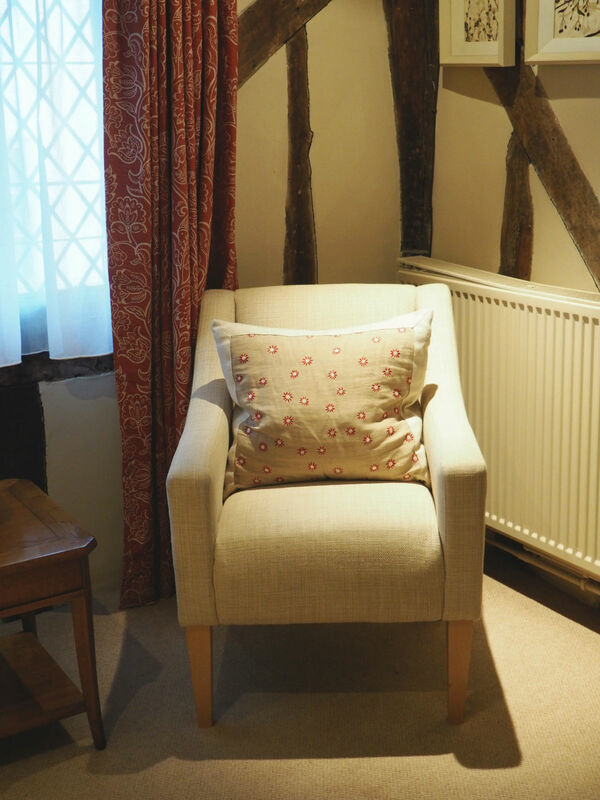 Located just under two hours away, we packed up the car and headed toward Ipswich, where our new home for the weekend – the historical village of Lavenham – awaited. 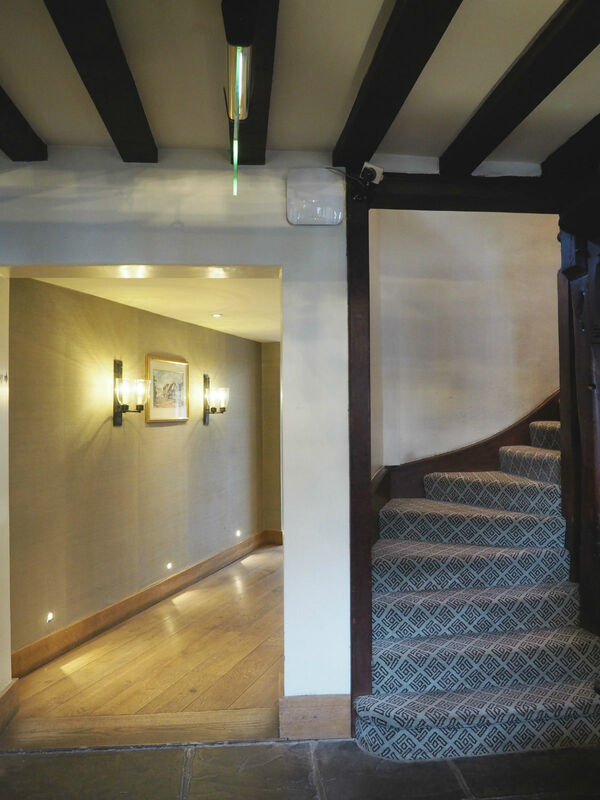 We were to be staying at the 15th Century 4-star Swan Hotel, which looked every inch the part with a medieval timber clad exterior and tiny hatched windows. 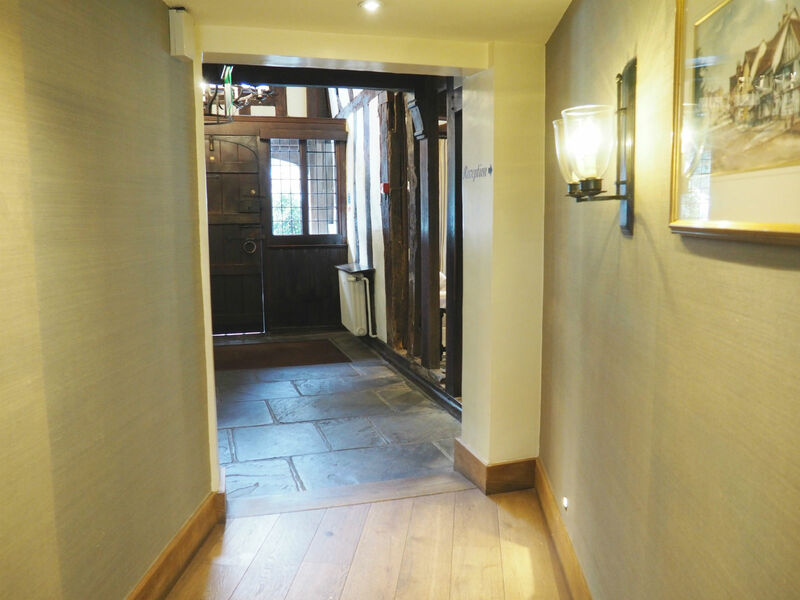 From the outset, it kind of looks a little dark and dingy – which I worried slightly would be not so my style (I prefer light and airy places) however as soon as we stepped through the large wooden door, any such fears melted away. The open plan arrangement with winding spotlit hallways and vast lounges takes your breath away on the first look – and as we wheeled our suitcases to reception, I could tell it was going to be the relaxing, amazing weekend I’d envisioned. Since we’d anticipated traffic and set off rather early, when we actually arrived – our room wasn’t yet ready, but the reception team kindly took our bags, booked us a table at lunch and reserved some time at the neighbouring spa for us (more on this later). We celebrated with a couple of welcome cocktails, a rather generous burger and the crispiest, most delicious fries. If that isn’t a fantastic introduction to a place, I’m not sure what is. We then headed over to the spa, which again surpassed our expectations entirely. I have visited a number of ‘wellness’ style places in my time blogging (yes, perks of the job I suppose) but honestly, none have been as relaxing and as beautiful as this place. 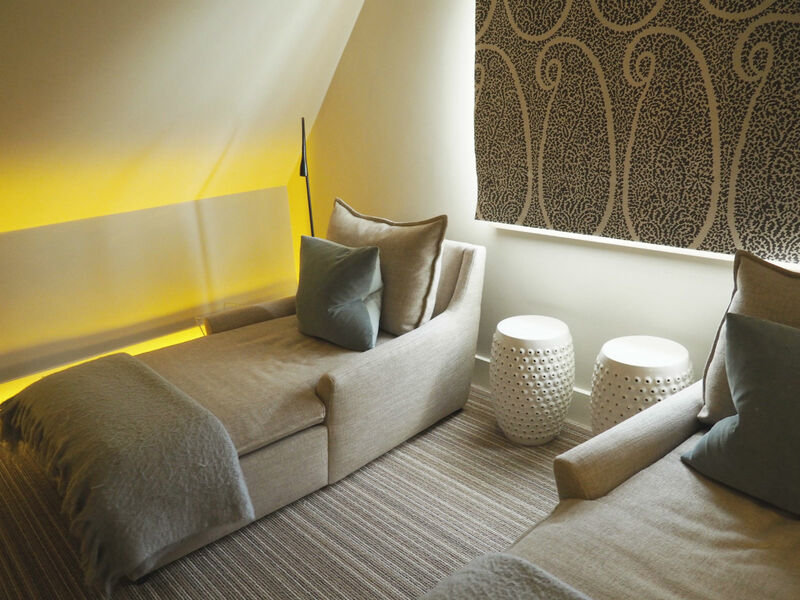 Winning the title of ‘Most Serene’ Spa at the 2015 Spa Awards (and deservingly so), even tiny detail has been executed to ensure each individual is at complete and utter ease during their time spent there. We were given a tour by the lovely Natasha upon arrival, who was so welcoming and made us feel at home from the moment we stepped in. 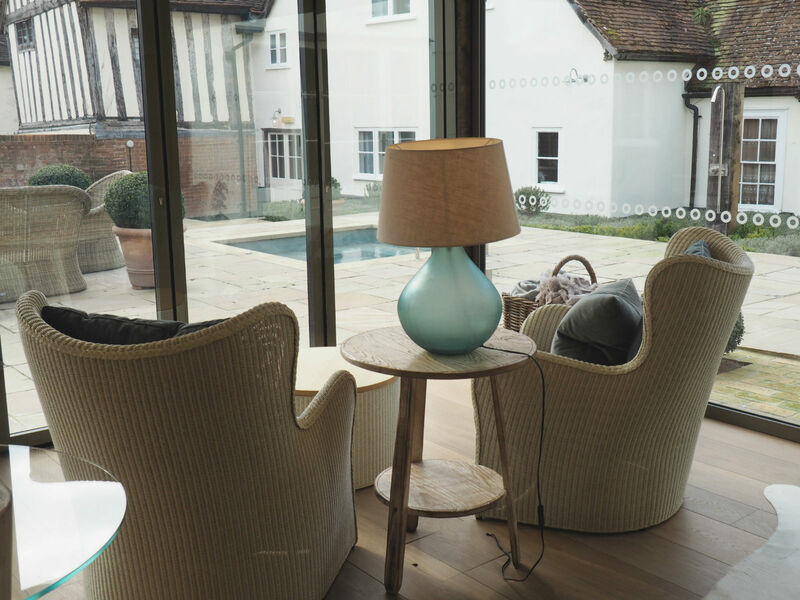 Not only does the spa offer a steam room, sauna and outdoor hot tub pool – but it also has a number of quiet relaxation rooms, which assist in creating a really cosy atmosphere – rather than anything too formal (and therefore intimidating rather than relaxing). You leave all your worldly belongings in a locker in the changing rooms and change into your new attire for the duration of your stay – which included probably the fluffiest white robe I’ve ever come across. Usually spas offer dressing gowns as part of the package (so nothing unusual here) but they all have tell-tale signs of being worn and can be a bit scratchy (like an old towel). These were amazing (I almost wanted to ask if I could take it home) and again set the mood for relaxing. 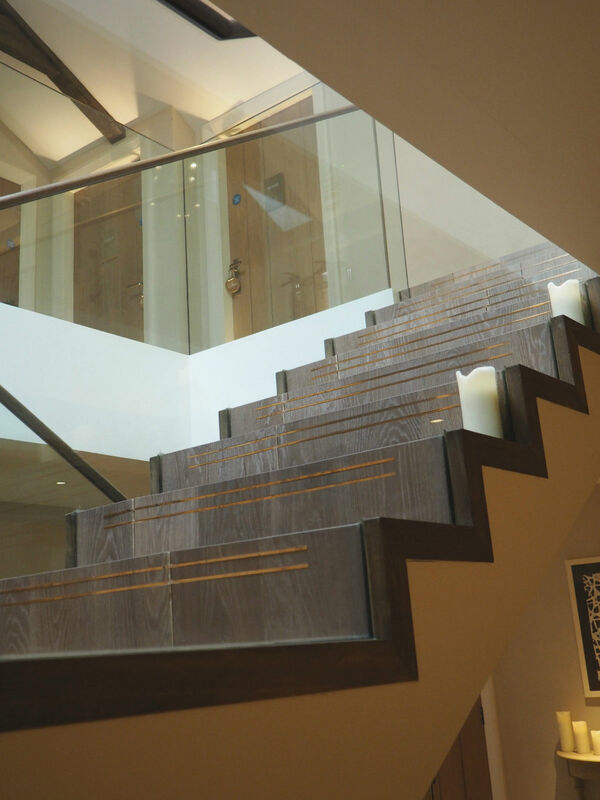 Once changed, we made use of all of the incredible facilities before heading upstairs to our treatment. 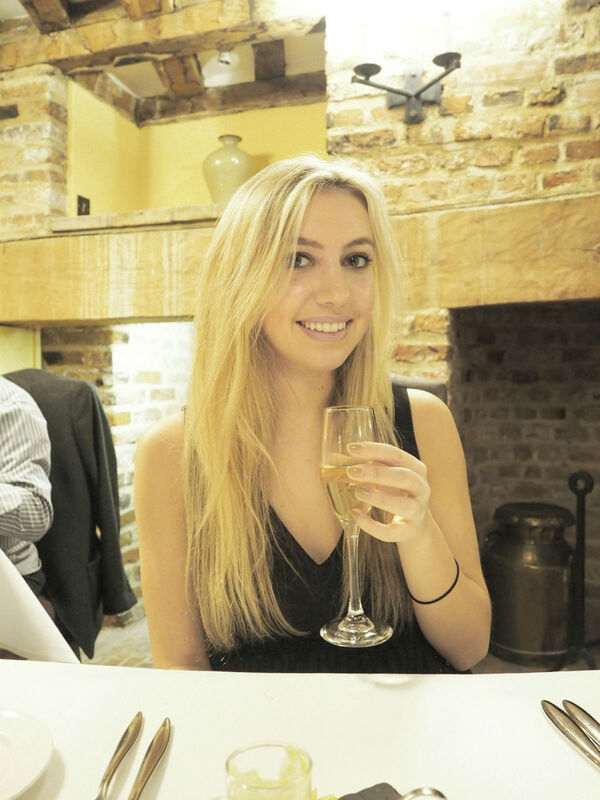 My therapist Charlotte was so lovely and welcoming, ensuring I felt as relaxed as possible – tailoring each individual aspect of the treatment to my own personal preference. 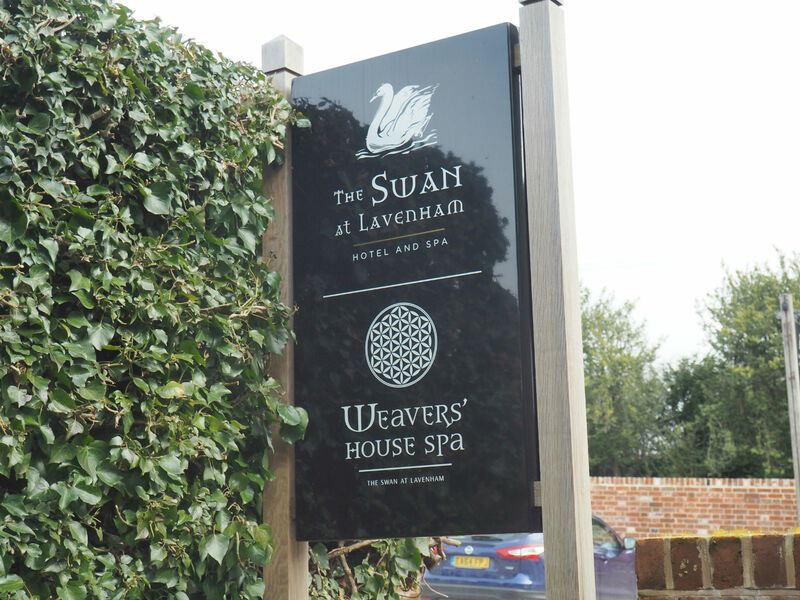 Usually, spas do ask for your preferences in massage (light, medium or firm) and if you have any concerns, however at Weaver’s Spa, it’s evident they go out of their way to personalise it for the guest. You’re even presented with a playlist at the beginning (in case those cliche whale sounds don’t really do it for you) and taken through what aches and pains you’d like to get rid of. Both David and I had opted for the ‘Drift Away’ 60 minute full body massage – which began with a fresh fruit smoothie shot (a lovely unique touch). We had been told that the treatment beds themselves were water based, heated to body temperature to make you feel as though you were ‘floating on a cloud’. I can’t say I have prior experience of this, but it was VERY comfortable. So much so that David fell asleep and started snoring and my treatment whizzed by in what felt like 15 minutes. If they’d had availability, I think I would have paid for another 60 minutes. 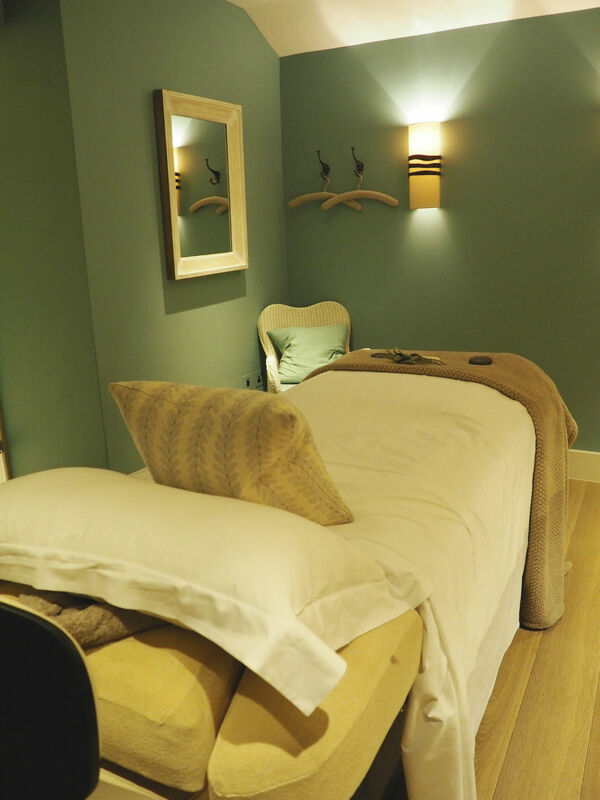 Each treatment finishes by escaping to the ‘quiet room’, where guests are first presented with a refreshing lemon sorbet (which helps to wake you up slowly after the most heavenly 60 minutes ever) and then a herbal tea and macaroons. I’ve never been anywhere quite like this – where everything is catered for and so detailed. I think it was an understatement to say that we didn’t want to leave. 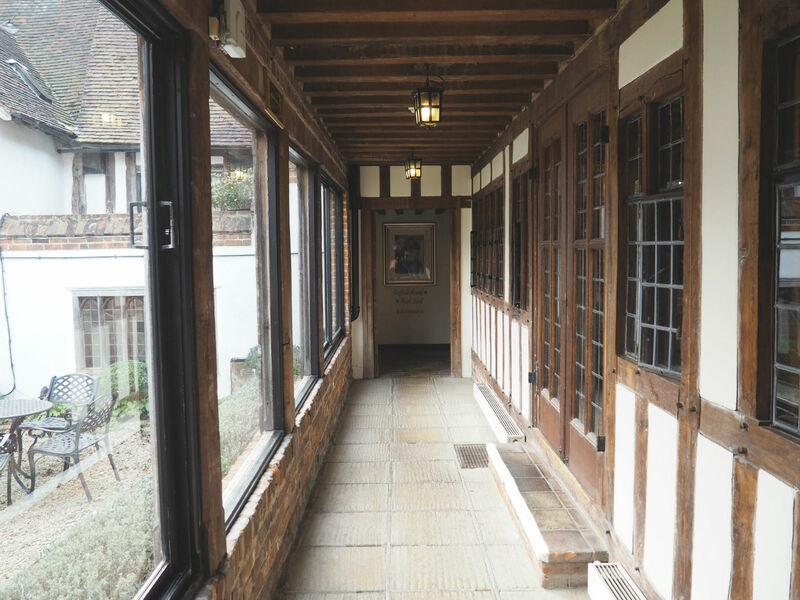 However, with our room to check into, we got dressed and stepped back into reality – me feeling like a new woman (and with any thoughts of my dissertation planted firmly at the back of my head). 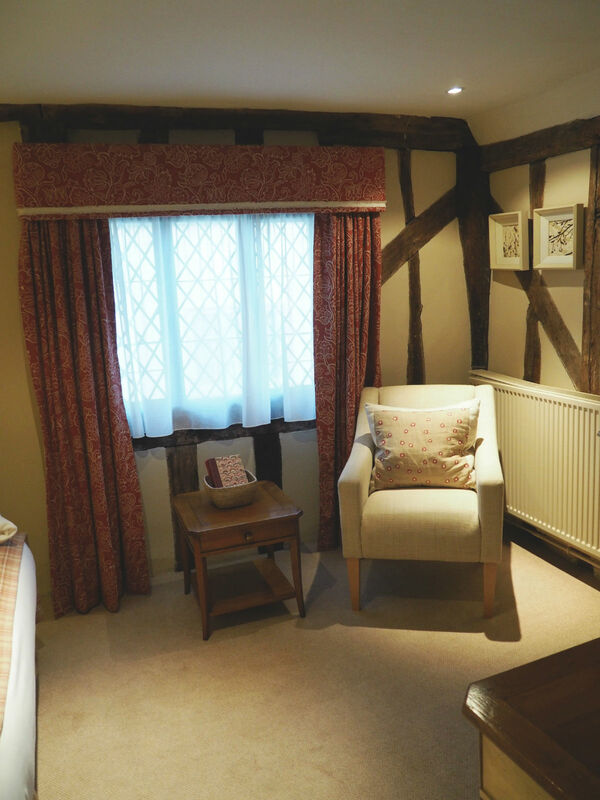 A very lovely member of staff, Pete, took us up to Room 38 – a beautiful suite with a separate living area and bedroom. Navigating our way through various winding hallways was a tricky thing to do with (overpacked) suitcases, so we were very grateful for his kind help. Decorated modestly but to reflect a really homely, gorgeous appeal – we settled into our new surroundings immediately, before diving into the incredibly comfortable bed to relax before dinner. 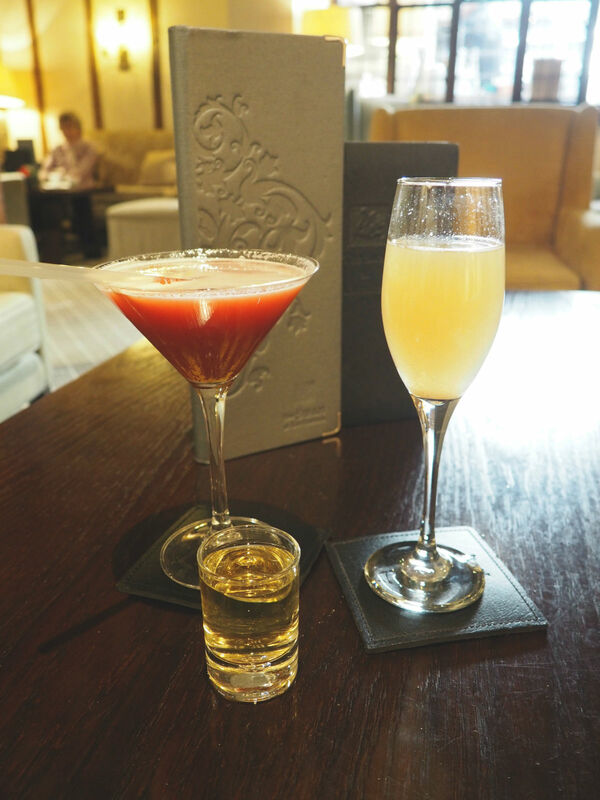 With a table booked for 8.30pm, we made full use of the bath and luxury Temple toiletries to get ready before leisurely making our way down to The Gallery restaurant – which is The Swan’s more formal dining option. 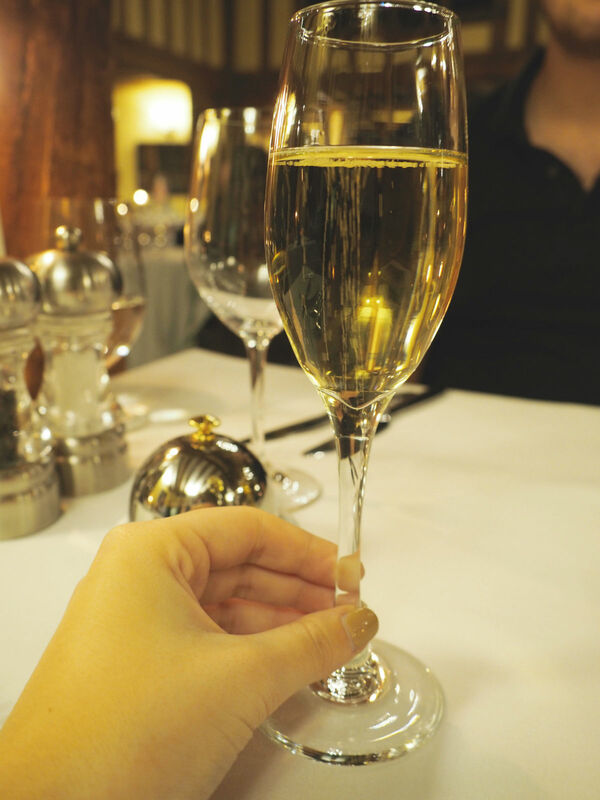 With a slightly more hushed, exclusive feel (reaffirmed by the twinkling of the piano on the upper balcony) – we ordered a glass of sparkling wine to end a really wonderful day. 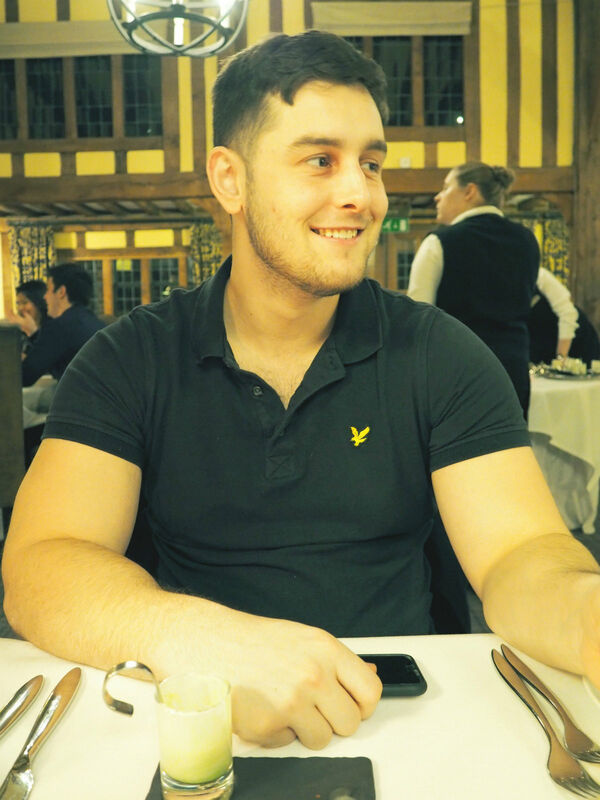 The food menu was a little limited (at first glance) for someone like me with a dairy and egg intolerance, however the manager was very helpful in enquiring with the kitchen and tailoring dishes towards my preferences. 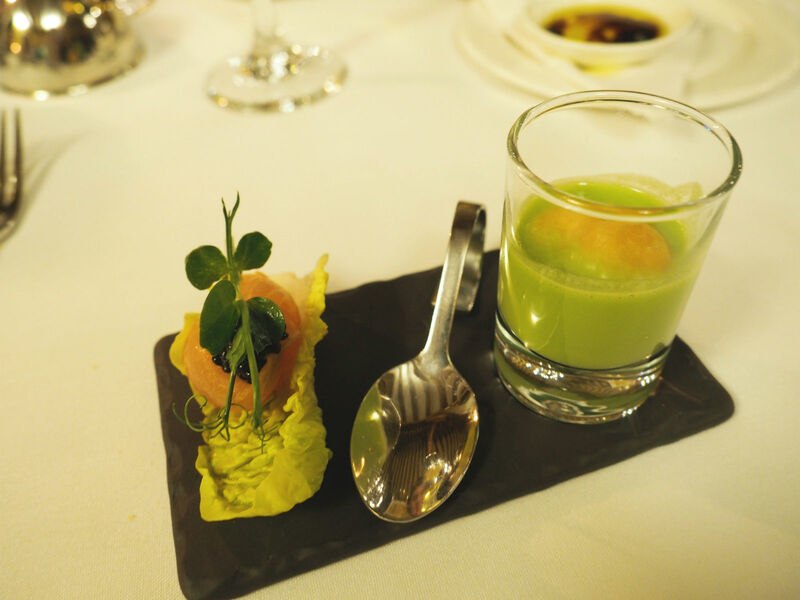 The chef offers each diner a complimentary canapé before their meal, which happened to be pea and cream puree and a cheese pastry. I assumed I’d skip this because it wasn’t suitable for me, however much to my surprise – they brought out a specially tailored version, with just plain pea puree, a tempura scallop and some smoked salmon. 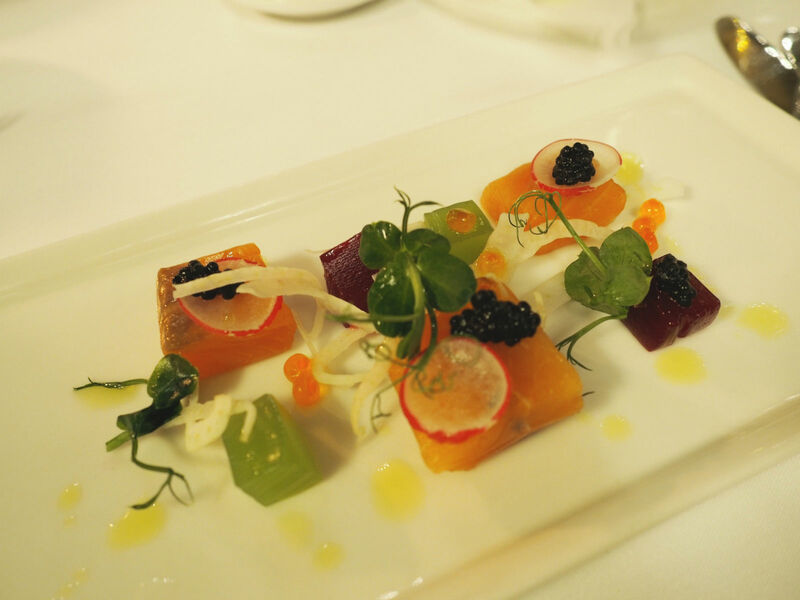 Next up was the starter, another smoked salmon dish – with caviar and fruit jellies. Although it looked superb, I think it was a little ‘too much’ for me, as the flavours overwhelmed one another and were very rich. It was beautifully presented and the ingredients (especially the accompanying caviar) were obviously of high quality, but I think it could have done with being a little simpler, with thinner strips of smoked salmon (as the thicker bits are harder to cut into it). Nevertheless, we looked forward to our main courses. 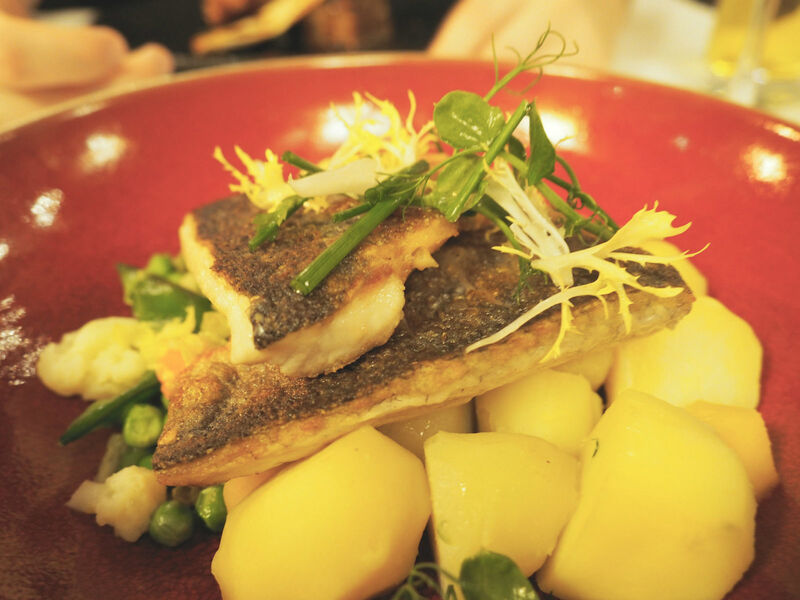 I had opted for the pan-fried sea bass – which is a firm favourite of mine – and often hard to master. 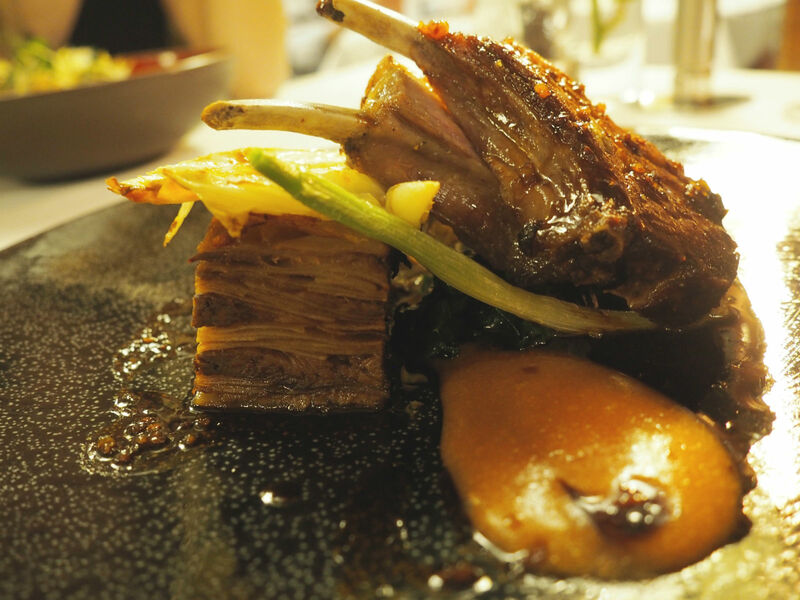 Luckily, the chefs here did the dish justice, as it was seared beautifully and had a lovely slightly salty outer crust and a melt-in-the-mouth texture to it. Accompanied by potatoes and vegetables, it made for a really lovely and simple dish, but one that was certainly well enjoyed. David opted for the lamb hot pot, which wasn’t presented how we had expected (we thought it might have come in a big pot) – but he enjoyed it all the same. The lamb was fairly fatty, which did mean he wasn’t left with much ‘meat’ however what he did have, he said was incredible. The chips (which we had to have another portion of after our taste for them at lunch) were a welcome addition to our main meals – and disappeared quite quickly. Regular readers will know that when it comes to desserts, us lactose intolerants are usually left with very few options – if any at all. Usually restaurants will offer to whip up a fruit salad or a sorbet selection, but nothing has really ‘excited’ me in a long while. The Swan impressed me massively by offering an entirely ‘raw’ and healthy section within their menu. 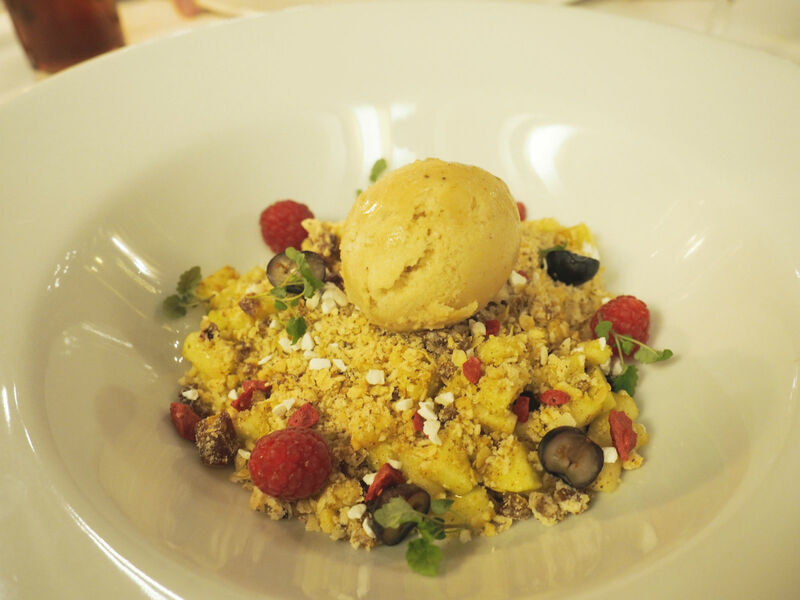 This included the addition of a vegan apple crumble – which I was really intrigued to try. Accompanied by a scoop of banana ice cream (simply just blended banana), what arrived was an amazing treat – and I wish I could have asked how they put it together, as I’d love to re-create it. David opted for a more chocolately delight (I think it was a pecan tart actually) – which also photographed and apparently tasted, incredible. 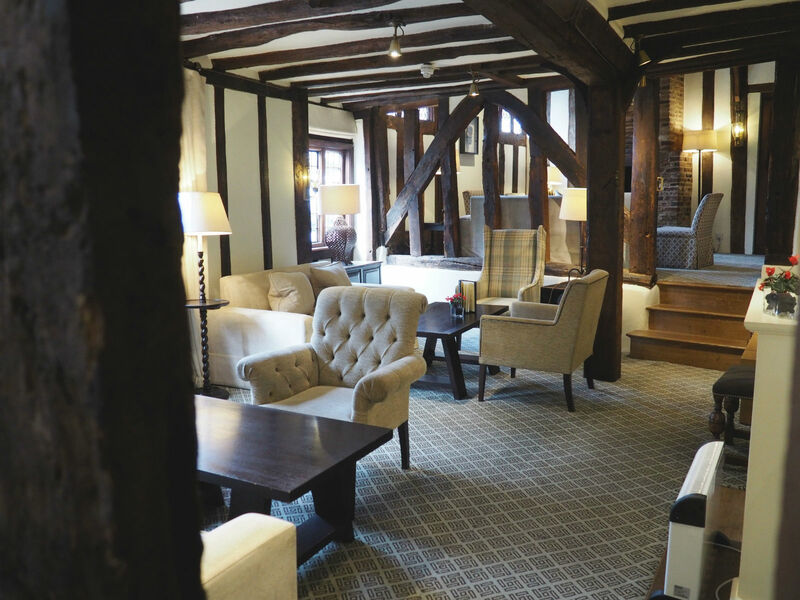 Overall, we had a really fantastic time at The Swan in Lavenham. 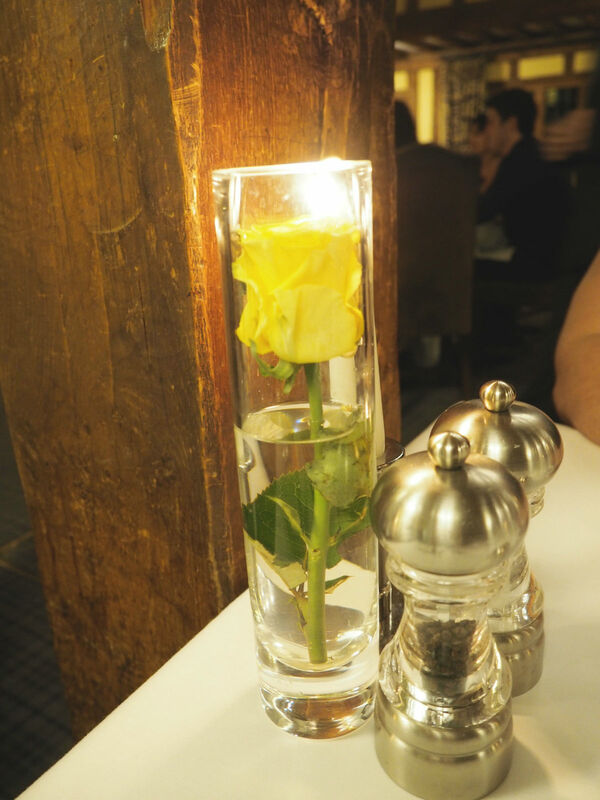 It was a bit of a late Valentine’s celebration for us – and the location and venue really made for a perfect romantic weekend. It’s in the middle of nowhere, so you really do escape from the bustle of the city, but at the same time – the village has all the amenities you could possibly wish for – including a fully stocked shop, offering a whole vegan/gluten free shelf – which impressed me greatly. 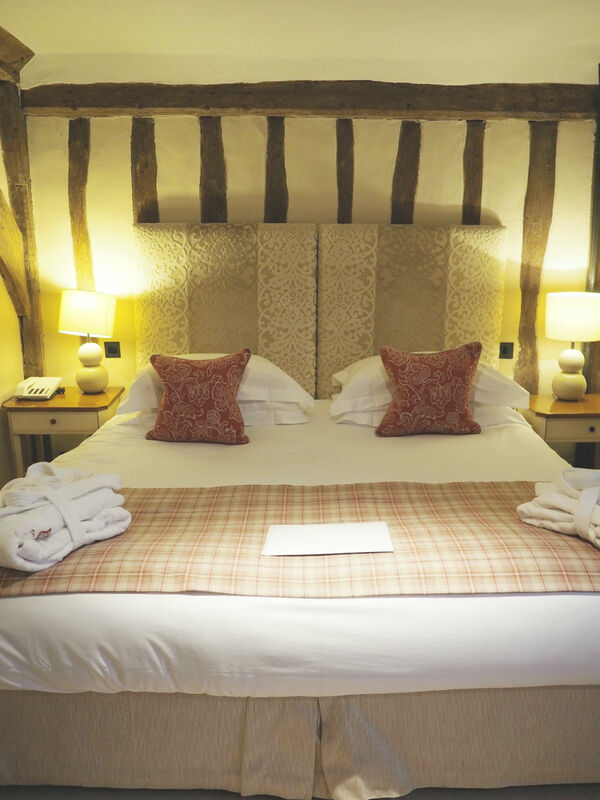 If you’re in the market for a couples weekend away, this is definitely a place to look into – but if you do book please take my advice and don’t skip the spa. In fact, I’d go back for the spa alone! Previous Post Drive Your Style!